Tour Napa and Sonoma County in a luxury SUV with wine expert and food connoisseur Mira Kramer. Tour the best wineries in the region and enjoy expertly crafted wine parings with your choice of various world cuisines. Choose from our list of attractions and wineries and Mira will take you there. She can also take you on a lesser known day tour to the Russian River, walk you through the Redwoods of Armstrong State Park and just drive a few more miles to one of the many Russian River Wineries for wine tasting and picnic. Perfect for this are 'Thomas George' and 'Arista with their wonderfullt shaded grounds. They are known for their excellent Chardonnays and Pinot Noirs. We follow the winding road towards Healdsburg with its beautiful Plaza, jewel of the Russian River Wine country. If you have not had enough wine tasting, you can have some more right around the Plaza with its beautiful archtiecture from the end of the 19th century. 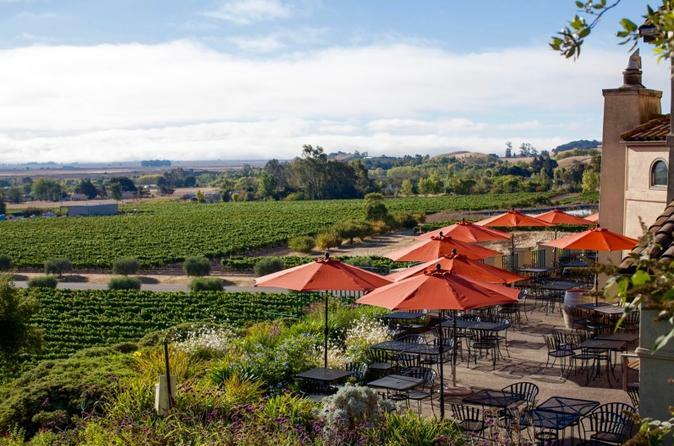 This is a custom and private tour of Napa Valley and Sonoma County. Pick where you would like to do and Mira will take you there. Some wineries may require advanced reservation, or may not be available for booking. Wine tasting fees and admissions not included.